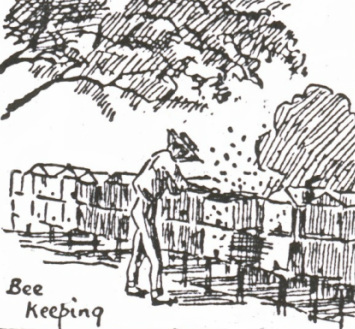 Beekeeping has a long history in Jamaica. Since there were, and apparently still are, indigenous, stingless, honey-producing bees in Jamaica, it may be presumed that the Tainos harvested the honey and probably provided logs for the bees to live in, as the Maya did in Yucatan; so far I have found no documentation to confirm this, nor any about beekeeping under the Spaniards. a Mayan bee-hut - a thatched hut, with traditional hives stacked on A-frame rack. This topic will deal chiefly with beekeepers and beekeeping in the second half of the 19th century and the early decades of the 20th. This is much smaller than the European, and very frequent in all the South-side woods. It is remarkable for having no sting; and is probably the same species so common in Guadaloupe. It builds in the hollow boughs of large trees, particularly the locust, and makes its comb, not with wax, but a composition of gum, and minute particles of tree-bark, worked into a brownish paste, or cement which acquires, in time, the firm texture of papier machée, but thin, and therefore easily broken in the weaker parts. The cells are pear-shaped, about the size of a bantam’s egg, and filled with a most delicious honey, limpid as crystal, extremely odoriferous, and cordial. These reservoirs hang connected together in clusters, and are so contrived, that each of them has a convenient aperture during the time of work, which is closed, or sealed up, so soon as the measure is full. When the honey is required to be taken out, the cells, or bottles, are to be pierced a little way from the bottom, to avoid draining out the sediment, which is viscid and glutinous. These useful insects were first introduced from England, and have multiplied so well, as to spread innumerable colonies over every part of the island, swarms of them being often found in hollow trees in the woods, in holes of rocks, or banks of earth, and other convenient retreats. Several persons here keep apiaries, which supply them abundantly with honey for family-uses, and wax for candles; and some families burn none other but their own manufacture. The honey is, in general, aromatic, delicious, and, like the Minorcan, always in a fluid state. The honey produced on sugar-plantations is not equal in flavour or quality to what is made in other parts; for the bees, when they can find a constant plenty of melasses in their neighbourhood, will not ramble in quest of flowers, but make use of the ready-prepared syrup. The wax is commonly bleached here in the following manner. It is melted in boiling water over a fire; and, as it floats on the surface, it is taken off in very thin cakes by dipping in a plate. When the whole is taken up in this manner, the cakes are laid in the sun-shine, for two or three days, until the yellow tint is entirely discharged; after which, it is perfectly white, like virgin-wax, and fit for use. A commodity, so cheaply produced, should excite the inhabitants to extend the number of their apiaries. A moderate industry would furnish them with sufficient for their own consumption; and, in time, with a superfluity for export. It is an article annually remitted from the Carolinas to Great-Britain, and might with equal advantage be established in this island. [Two European breeds, Apis mellifera mellifera and Apis mellifera iberica, were introduced into America by the first colonizers. Apis mellifera mellifera is found from the Pyrenees to the Urals, from Scotland and South Scandinavia to Provence. The common names are European Black Bee or English, French or German, Brown or Dark Bee. Apis mellifera iberica is a mediterranean honeybee which is found in the Iberian peninsula. I assume that the bees were kept in hives that looked something like some of these. In Europe hives were often placed in specially made alcoves or niches in walls, but I do not know if any evidence exists for this practice in Jamaica. p 215: Here we have Thomas Thistlewood, Esqr., Justice of the Peace, and Lieutenant of the Fort at Savanna la Mar at the top of his fortune and, the usual illnesses apart, at his most comfortable. Within and beyond the parish his horticultural interests and expertise are recognised and his garden has become an attraction to visitors. Nonetheless, he is not resting on accomplishment. In these years he introduces new activities--hives of bees, an indigo patch, and a trial export of annatto. He soon began to capture swarms of bees and to market honey. p 232: On the Pen, he was involved in developing one of his more recent enterprises. 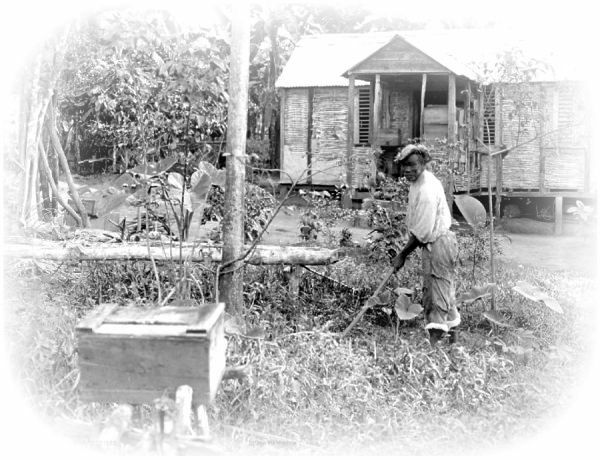 Mulatto Davie had been hired for some weeks to carry out general repairs, and also to build a bee's house. p 261: On 1st January, 1779, Thistlewood listed ready money as £184. He had spent more than usual buying provisions; and because of the time spent in logwood cutting and chipping, and in repairs to buildings, his slaves had earned him only £70 for hired labour. Local sales of his Pen's produce had earned him 1352 bitts, or £42 5s. The greatest earnings had come from fruit and vegetables (520 bitts), wildfowl (315 bitts), domestic poultry and eggs (301 bitts), and honey (126 bitts) from a much reduced number of hives. Six of his 16 'stocks' of bees had been lost by vermin, moths, maggots & desertions'. ​ In the mid-19th century the well-known Jamaican naturalist, Richard Hill, had an interesting correspondence with Charles Darwin about Jamaican bees. Sir,—Why are bees not more kept? It is a fairly profitable occupation. Both the wax and the honey find a ready sale in the market. And the necessary outlay is of the most limited kind - a few candleboxes, a piece of board, and four stumps to support the apparatus upon. The rest is done by nature. I cannot help thinking that, here and there, a reduced gentleman might, to the improvement of his circumstances and the maintenance of his independence, beneficially take up the occupation. 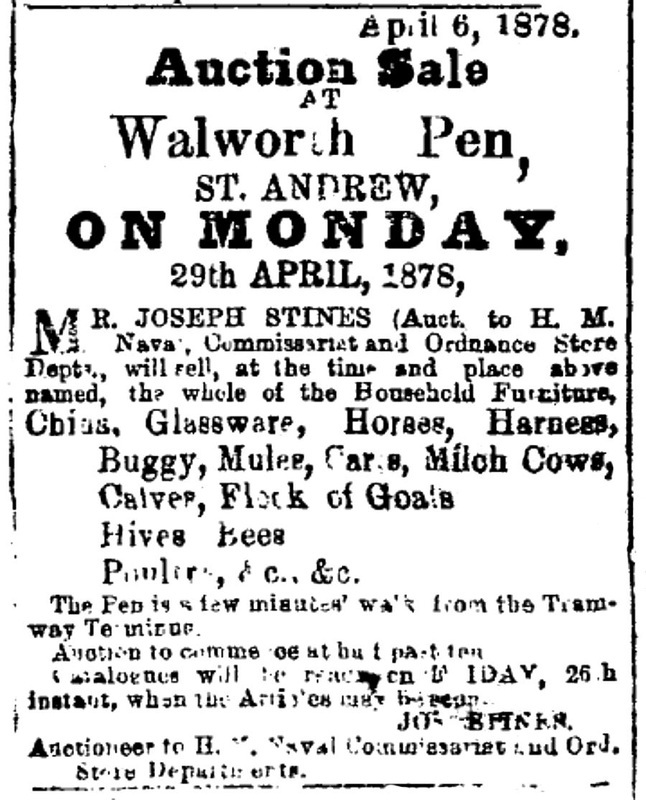 For rent in 1869: WALWORTH PEN, three-quarters of a Mile from Halfway Tree Church, and four Miles from Kingston, a comfortable Family Residence, just repaired and painted, with Guinea Grass for two Horses. In the 1878 Directory Hermann Weirauch is listed as having a bakery and apiary at Walworth Pen, St. Andrew. 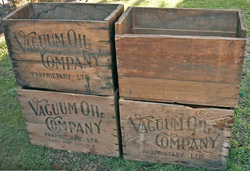 * a kerosene box was a container used to ship two cans of kerosene; these boxes were used for a variety of purposes, at least into the 1930s; besides being beehives they were cut up to make frames for the comb; they were also used as firewood, and for making fences; as makeshift seats and tables; as containers for babies abandoned by the roadside. 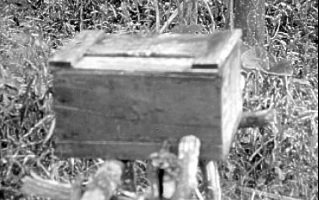 Similar boxes which had contained soap or candles were also used. The common plan for removing the honey from the hive is quite barbarous, the bees are made to leave the hive by the use of smoke. Many of them get singed and burnt by the careless way in which the smoke is applied, and the flavour of the honey is spoiled; the combs are then scooped out, without regard to the different grades of honey which a hive always contains. These combs are then placed upon a sieve and chopped up; the product being caught in a receptacle below. The honey thus obtained is a mixture of bee bread, - of pollen - the juice of young bees (or larvae) and exuviae and excreta, - which if known of by the general public, they would be more careful to ascertain from what source they get their honey. Indeed I have been informed from good authority, that a shipment of honey of this kind was once made from here, and on arrival at its destination it was found to be of such bad quality that it was sold to a firm of blacking manufacturers at the rate of 6d. per gallon. The bees thus deprived of all their honey combs are again returned to the empty hive to get on as best they may.